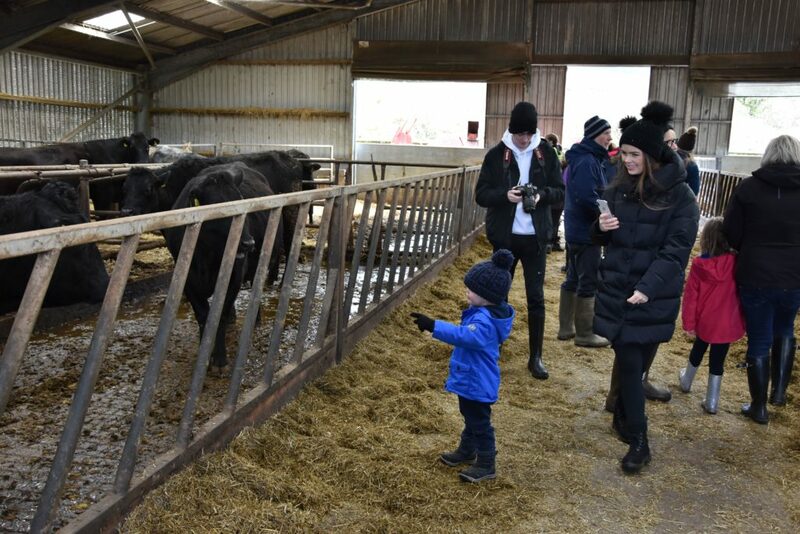 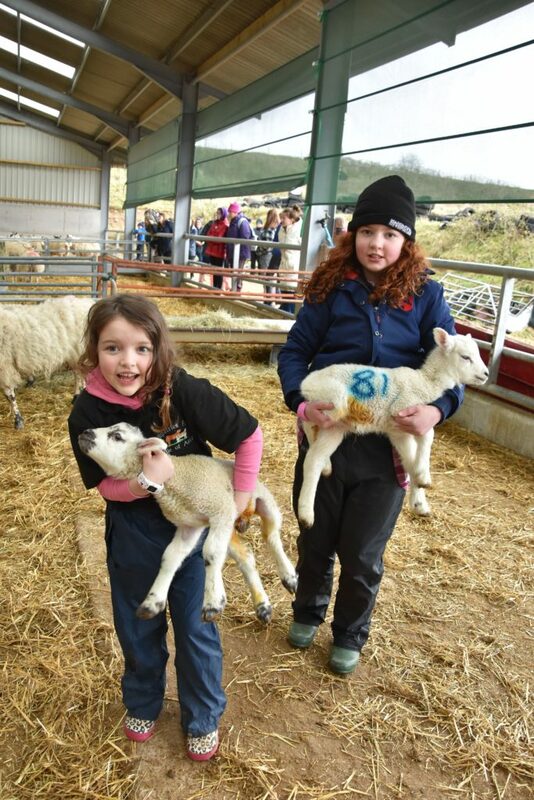 Alison and David Henderson of Kilpatrick Farm near Blackwaterfoot welcomed hundreds of people to their working farm during one of the busiest times of the year for a Lambing Live charity event. 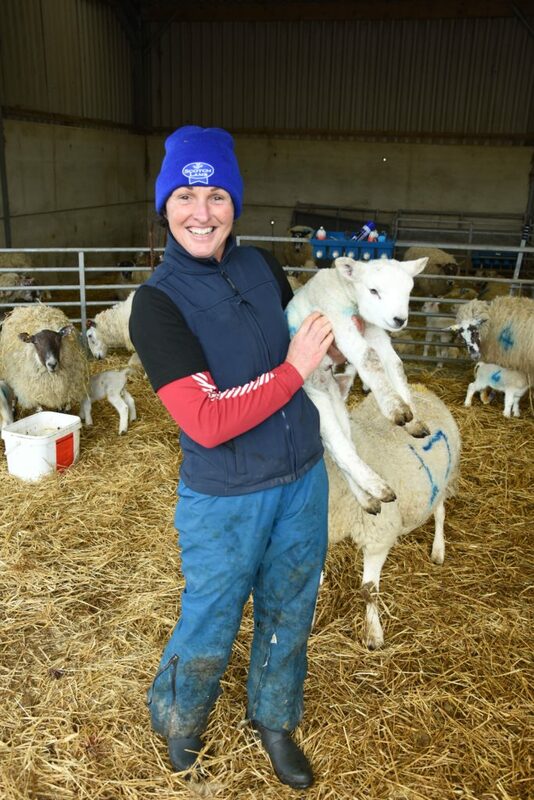 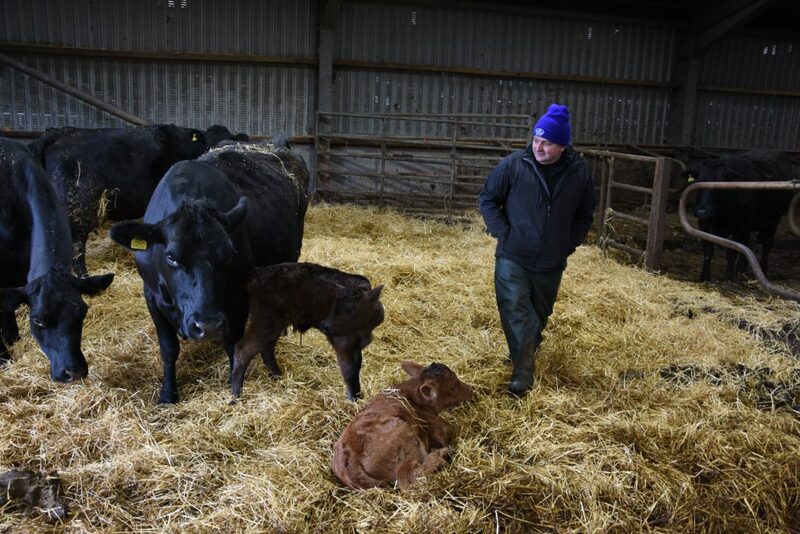 While extremely busy with lambing and calving, which takes place 24 hours a day, the couple, who also have three children Emma, Lisa and Cara, are intent on introducing farming practices and life to young people while also supporting the Royal Highland Education Trust (RHET) charity. 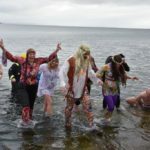 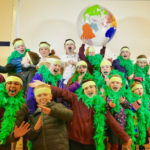 RHET work with volunteers to provide free educational activities and experimental learning opportunities to children throughout Scotland. 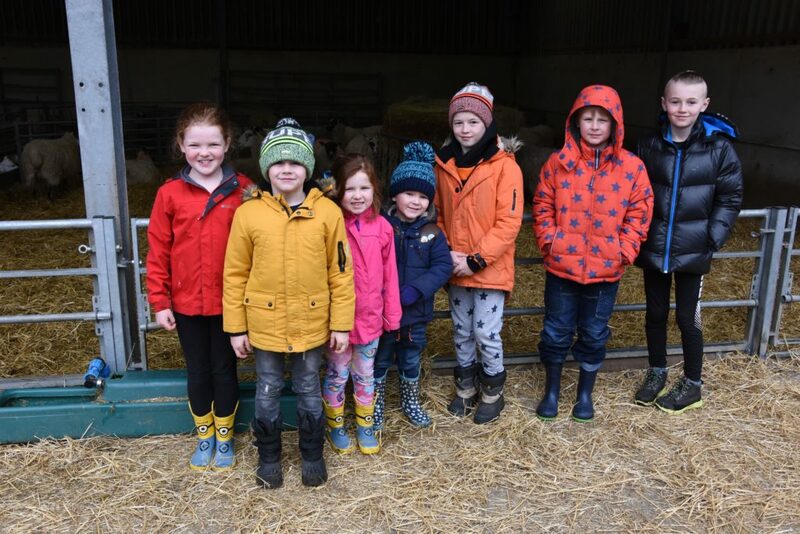 As a farm host, and with Alison Henderson being a primary school teacher in Lamlash, the Henderson’s were happy to open their farm to school children and on Wednesday April 3, they invited visitors and Arran folk to experience the day-to-day life of farmers during lambing and calving season. 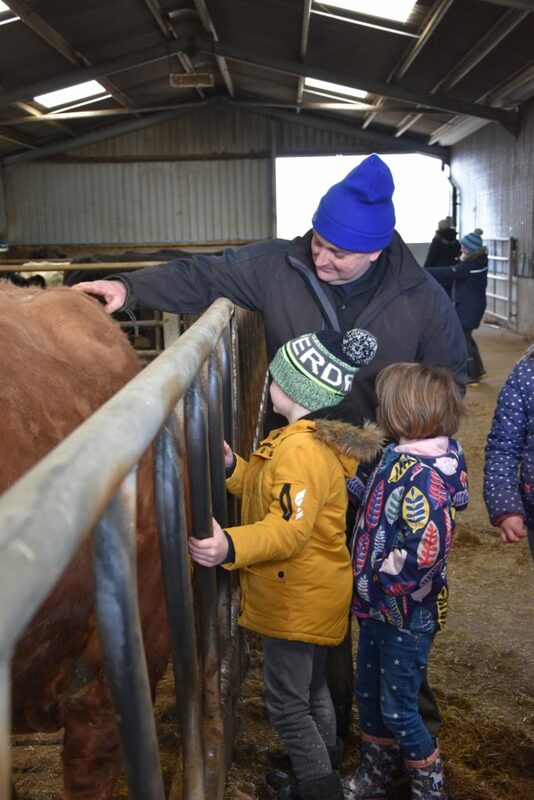 On offer was the chance to be able to handle – under the watchful eye of accommodating farm helpers – the newborn lambs and to learn more about the animals from farmer David, whose friendly nature and love of animals, enured the children to some of the 45 Limousin and Belgian blue cows and 420 Texel sheep that are kept on the farm. 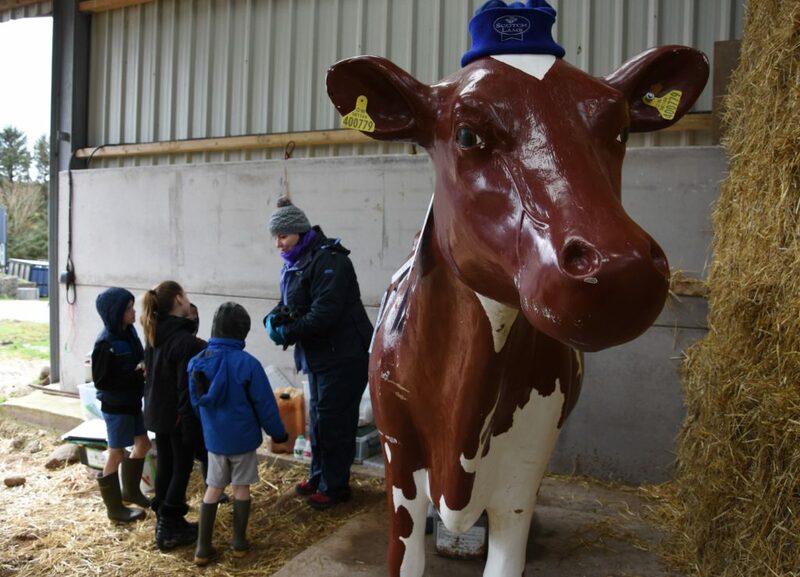 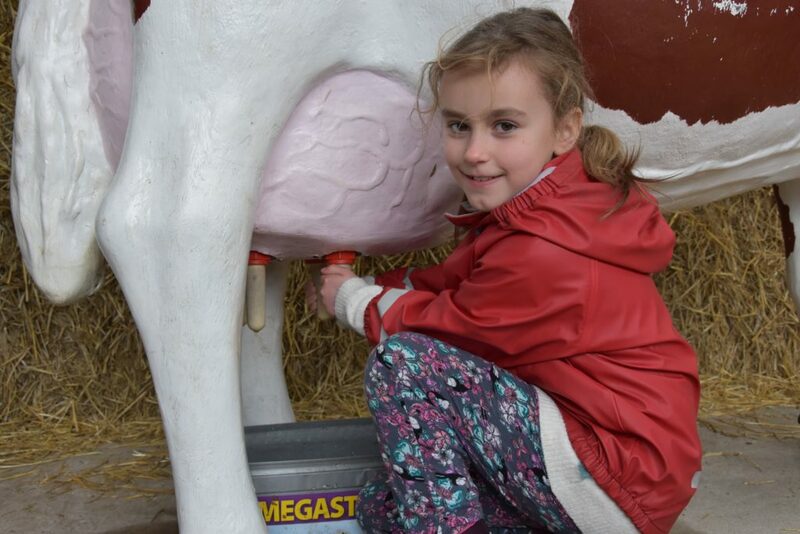 Christine Cuthbertson of RHET Ayrshire and Arran joined the farmers in Blackwaterfoot and supplied a life-size cow replica, named Rita, that children could milk while learning about farm produce and milk products. 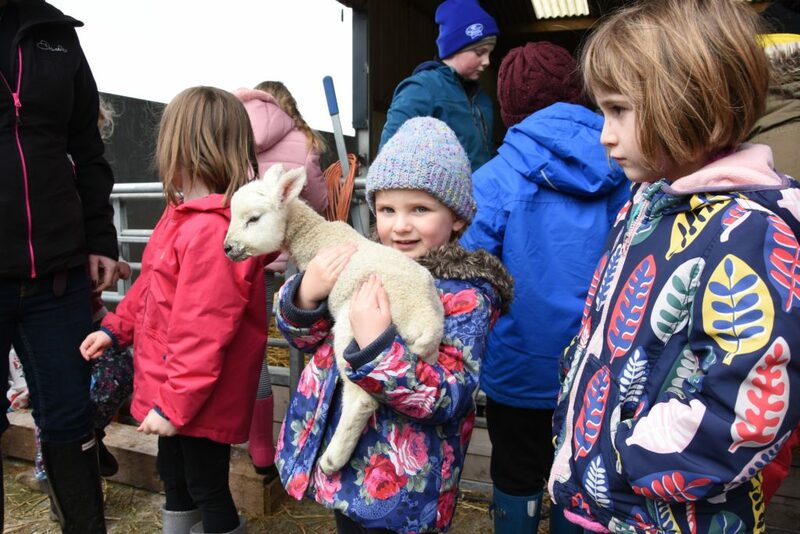 By far the most popular activity for the children – and adults who stood at the ready with their cameras – was the chance to handle some of the baby lambs, some only a day old. 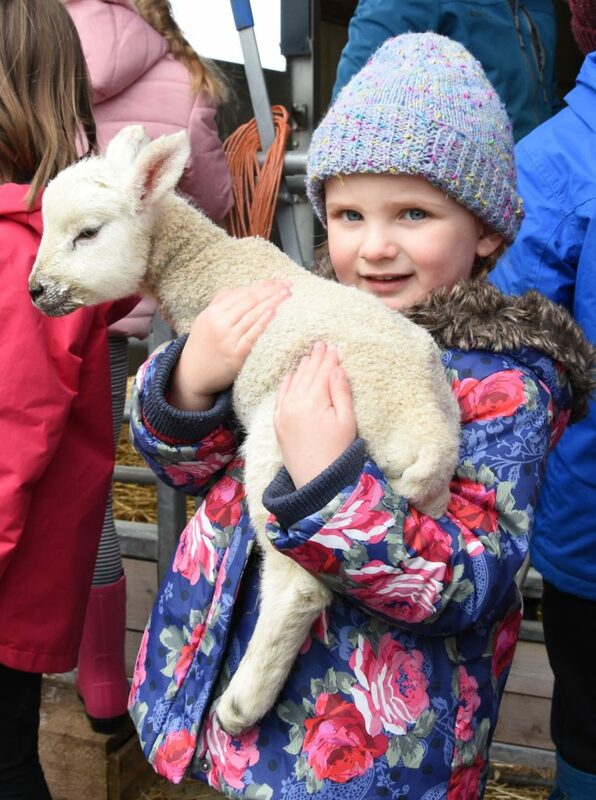 Emma and Cara Henderson joined their parents in showing off the animals and took particular care in explaining how to handle them gently. 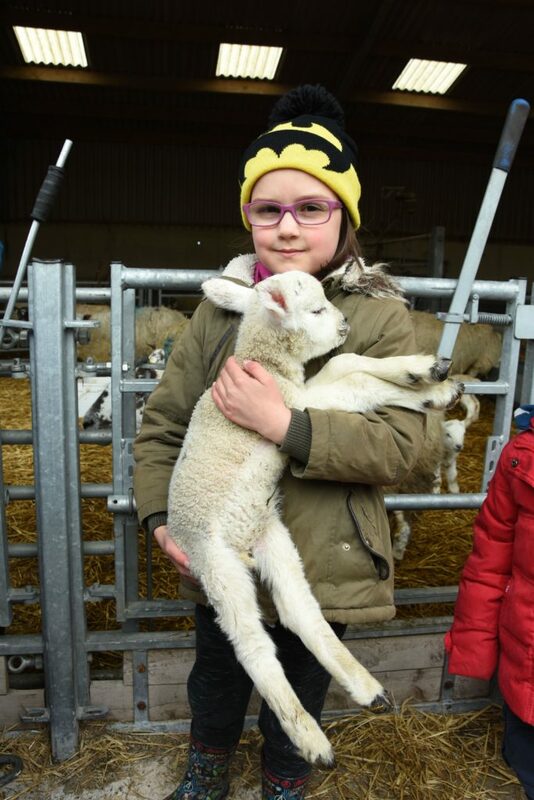 With more than 100 people watching, from a distance, two little lambs were born in the afternoon and a number of other new arrivals were welcomed shortly after all of the visitors had left for the day. 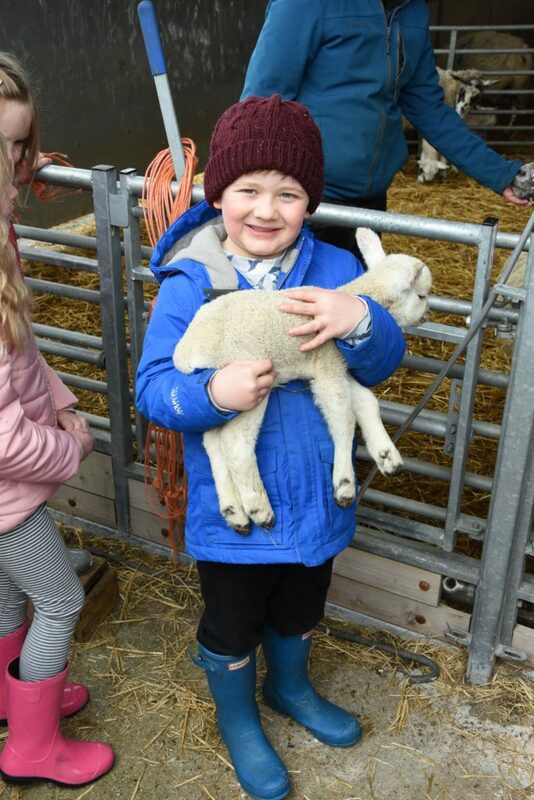 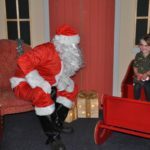 Owing to the popularity of the event the Henderson’s hosted a further afternoon session on Wednesday April 10, once again at no cost, but many more donations were gratefully received for RHET.